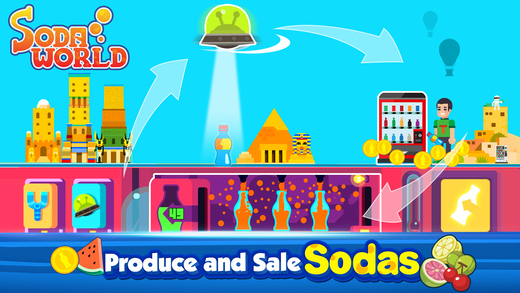 Home #ADDICTIVE Soda World – Create your very own Soda Empire! 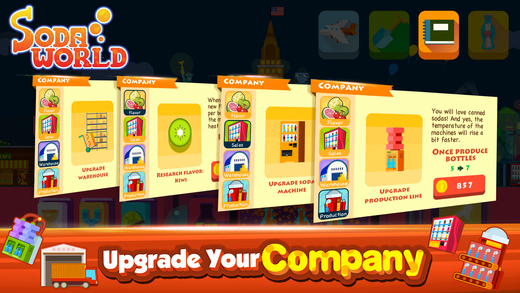 Soda World – Create your very own Soda Empire! 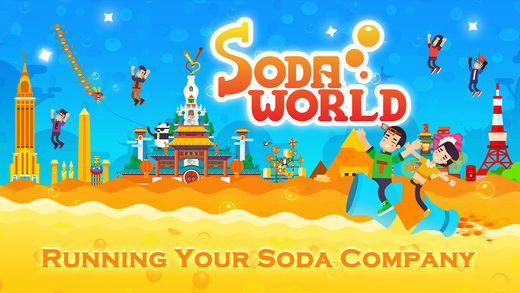 Soda World is a game about taking over the world using nothing but the bubbly power of soda! Set in a small deserted country town with nothing but a bunch of vending machines and a few customers who ever so kindly explain to you how to play the game. Your mission in this game is to grow your small town into the biggest town of soda addicts this world has ever seen! Wait a sec, isn’t this just what Coca-Cola did on a Global-Scale? Played using simplified sales reports, customer requests, equipment upgrades, soda festivals, etc. Anything to get people to buy more soda! This game is surprisingly realistic and may actually have way more educational value than you might first expect. Your job as both the manager and worker of your company requires you to complete simple tasks like filling soda bottles while also planning out your next sales strategy. If you enjoy business based games or have a child you would like to see become the next Steve Jobs, this is probably a game you’ll want to check out. With cute simplified graphics, plenty of functionality, and unfortunately no offline auto selling system (i.e. 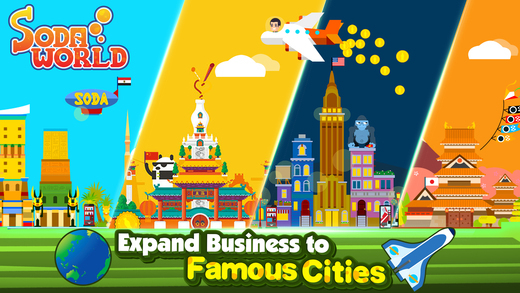 you must have the game open in order to make money) Soda World is a game we highly enjoyed. Have you always wanted to dominate the world some way or another? If so this may be the game you’ve been looking for.